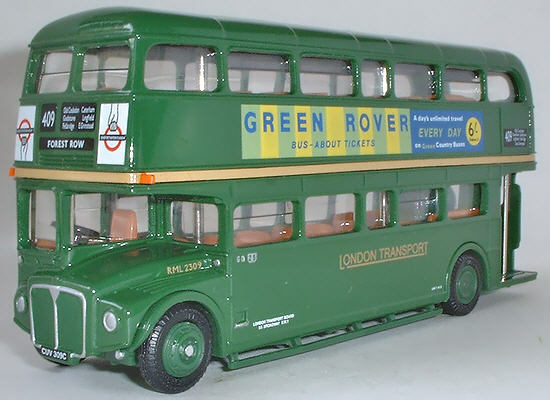 Adverts "Green Rover Bus - About Tickets - A day's unlimited travel - Every Day 6/- shillings - on Green Country Buses" (near side side advert only) and London Transport front adverts. Notes Part of Gift set 99917 with model 25502GS. 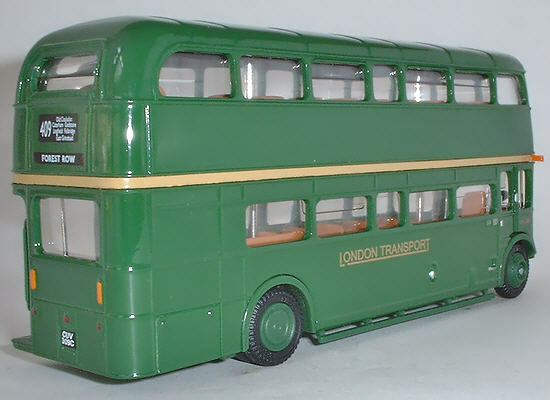 Commissioned by and only available from the London Transport Museum Shop.